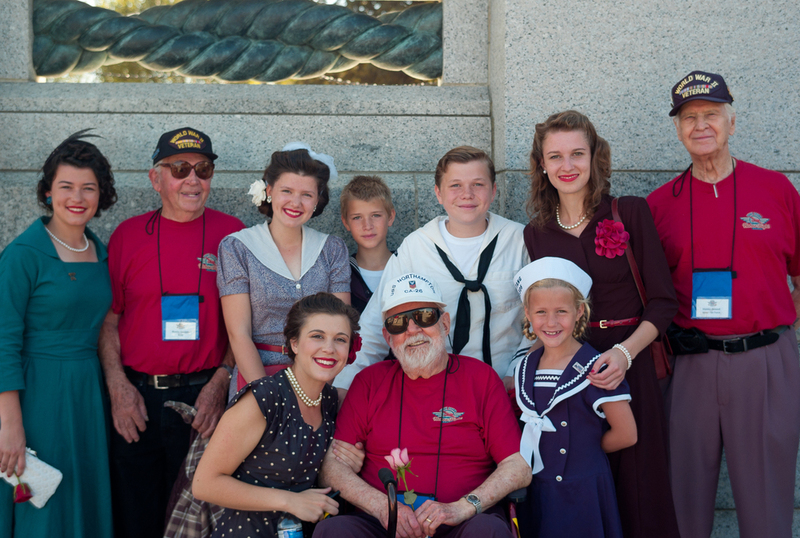 This is a charming article that was sent to us from one of the veterans we met in D.C. Mr. Stanley Zemont is a delightful man with a lively sense of humor. WHEN an American soldier called for a winch to help him up a Bournemouth hill two local ladies thought he said wench - and now 58-years later he's saying sorry. Stanley Zemont was 19 years old when he was sent to the town during the Second World War. He recalls walking up a steep hill and saying to his friend: "I wish I had a winch to help me up," but two young ladies mistook winch for wench and took great offence. He says he's felt bad about the misunderstanding for years because Bournemouth residents were so kind to him during his stay and now, having mastered the Internet, he's contacted the Echo in the hope the two women involved will accept his apology and get in touch. He even wants to invite them to visit him at his home in Bellingham, Washington, on the north west coast of America so he can return some of the hospitality he received here during the war. Mr. Zemont far right, kneeling with German Luger. May, 1945, Waldeck, Germany. Stanley, now 78, was an infantryman. He recalls training on Bournemouth beaches in preparation for combat in France. He said: "I remember they had barbed wire along them. I have nothing but admiration and respect for the people there. They gave up their homes for us. I would love to come back to England just to visit Bournemouth. If you were one of those two young ladies walking up a steep Bournemouth hill 58-years ago overhearing a 'Yank' say 'wench' please contact us on 01202 411299 and we'll put you in touch with Stanley. We forgive you! GI finally absolved 58 years after misheard winch comment. He's forgiven. A local woman has identified herself from an Echo article as the person who overheard an American soldiers request for wench during the war. Stanley Zemont contacted the Echo 58 years after his plea for a winch to get him up a Bournemouth Hill was misheard by two local women -they thought he said winch. He told us he’d felt bad about the misunderstanding ever since and wanted to say sorry. Violet Hayden, 73, of St. Winifred's Road, recognized herself as one of those women - she remembers being angry about his comment and now she's preparing to write to Stanley at his home in Bellingham Washington, to tell him he's all forgiven. She said, “I was walking up that hill with my sister, I was 15 and she was 17 and we were on our way back from Westover cinema where we work as usherettes. Two men were walking up behind us - we thought they were going to ask for directions but when they said they wanted a wench we were so upset because we thought they were after a prostitute. I remember my sister saying ‘if you want one of those go down to the square’. He was nicely dressed and shouldn't have had any trouble getting a woman. At the time I was very annoyed. But we forgive him - we’d just about forgotten it by the time we reached the top of the hill. It hasn't played on my mind since. But I wouldn't mind writing to him, I'd like to ask him about his memories of the war. Particularly the bombing in 1943 which I remember very clearly." Stanley, now 78, was an infantryman during World War II. He recalls training on Bournemouth beaches in preparation for combat in France. Stanley even indicated that he plans to invite the two women over to see him at his home not far from the Canadian border.